Mark Pincus, the man who gave the world FarmVille, says videogames no longer give him the zing they used to. Mark Pincus has done pretty well for himself with videogames. His company, Zynga, may not shine quite as brightly as it once did but it's still a pretty big dog as these things go. But it turns out that they no longer turn his crank the way they once did. During a Q&A following an informal talk to tech entrepreneurs in Israel, Pincus was asked about his favorite game. And to everyone's surprise, he replied, "Right now, I'm pretty bored with all games." He used to be hooked on fare like FarmVille and CityVille when they were new, he explained, but nothing has come along in more recent times to replace them. "I want that addiction again," he said. 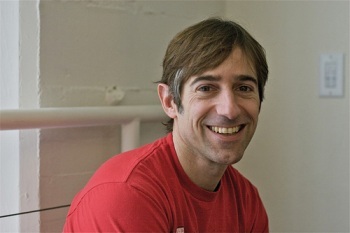 It's possible that Pincus is just down in the dumps because of Zynga's ongoing troubles. He effectively eliminated his own salary earlier this year in an effort to retain executives, the company's second quarter financials were a disaster and the appointment of former Microsoft executive Don Mattrick as CEO over the summer very quickly resulted in the ouster of the company's chief operating officer, chief people officer and chief technical officer - not the sort of thing likely to make a man feel very comfortable about the company he founded.